Until recently scientists believed there were 100-200,000 lions living in Africa, but a recent survey has found that the number has dropped dramatically to approximately 23,000, and most of these are living in protected National Parks. But outside these parks lions are being killed at an alarming rate, and unless urgent action is taken, they may be completely wiped out from these unprotected areas. 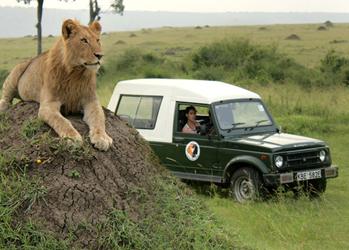 Living with Lions is a research and conservation group, whose projects work in unprotected areas of Kenya to save the remaining wild lions and other predators outside National Parks. The organization currently has 5 projects; Lion Guardians, Mara Predator Project, Laikipia Predator Project, Amboseli Predator Project and the Kilimanjaro Lion Conservation Project. The Lion Guardians were created in response to the slaughtering of over 200 lions in the Amboseli-Tsavo Ecosystem since 2001, the group monitors lions, educates communities and provides initiatives to prevent human – wildlife conflict. The Laikipia and Amboseli Predator projects study the lions to find out what makes them vulnerable to extinction in an unprotected area, and how practical measures can be developed to encourage coexistence between people, livestock and predators. The Mara Predator Project (MPP) is monitoring the lions in this area, identifying key trends and shifts in population, and building an online database of individual lions so that effective conservation methods can be applied. Lastly The Kilimanjaro Lion Conservation Project (KLCP) was established in early 2004 to try to use some of the lessons learnt in Laikipia to halt the massacre of lions in an area of Maasailand between the Chyulu Hills, Tsavo and Amboseli National Parks in southern Kenya. 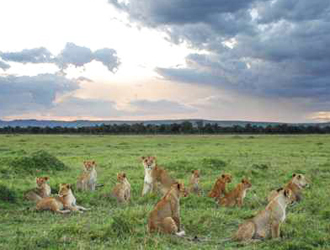 Living With Lions is lead by Dr. Lawrence G. Frank and his team of project biologists and coordinators. To learn more, click here. This entry was posted on June 8, 2010 at 7:15 pm and is filed under Africa: Lions, Organization of The Day with tags Africa, Amboseli Predator Project, Conservation, Endangered Species, Kilimanjaro Lion Conservation Project, Laikipia Predator Project, Lion Guardians, Lions, Living With Lions, Mara Predator Project, poaching, Tsavo National Park, wildlife. You can follow any responses to this entry through the RSS 2.0 feed. You can leave a response, or trackback from your own site. Pl. read my boo-The Gir lion (2007), published by Pugmark Qmulus. Ahmedabd-a comprehensive book with 400 colou photographs. Gir lion-Asitic lion was at verge of extinction with few dozen population-about 50 in 1900 has been saved in Gir forest. Since Gir lion Project Started in 1970s, its number grew from about 170 to over 410 and wild ungulaates from about 5,600 to 60,000 in 2010. 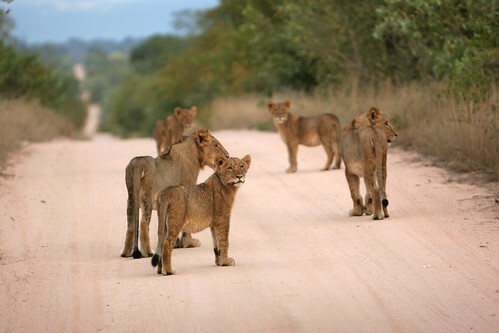 Lion have reclaimed new territory and conservation measures follows the movement of lion. It is one of the best conservation story in the world. Very soon, perhaps in a decade, the number may reach to 500. ?